The course textbook was interesting and relatively easy to understand. Honestly, I think every topic was equally helpful. I am very glad that we extensively used the course textbook. The textbook is very useful. It gives me the background knowledge to this course. The textbook was great, I relied on it heavily to revisit the descriptions of certain concepts when they were feeling too abstract. The course textbook seemed good to me. It was organized cleanly so that I could refer to the relevant chapter when I had a question about a topic, and it was pretty detailed without being overly dense for a textbook. The politics chapter was particularly helpful, as I didn’t know much about late Imperial policy questions. The textbooks are very helpful.Since the instructor is the co–author of one of them, he explains the content better. I like the textbook very much, it has a clear logic and does a good job explaining concepts. The way chapters are arranged is also cohesive and good for a systematic understanding of Neo–Confucianism. The textbook is very helpful. Perhaps it could go deeper in general but I understand that we may not have enough time for the course. The course textbook was difficult to understand in the beginning, but later on it was much easier. I think most of the topics and chapters were difficult to understand until I put more effort reading them and discussing them in class. 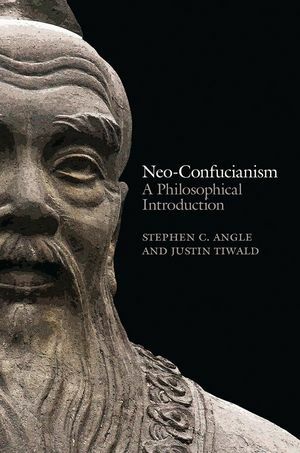 The chapters were very helpful in making me understand Neo–Confucianism. It was very clear and the quotes were helpful. It was also organized in just the right way. I thought that it was really great and that things were set out there very clearly and supplemented class very well.